Part one features scarves and beanies based on Kirito and Asuna’s outfits. Merchandise available worldwide through reservations starting from June 20, 2017. Tokyo Otaku Mode Inc. (incorporated in Delaware, U.S.; representative: Tomohide Kamei; CEO: Naomitsu Kodaka; herein referred to as TOM) announces the launch of a collaborative merchandise project with the popular anime series Sword Art Online. The first part of the project features stylish scarves and beanies with designs based on the outfits of Kirito and Asuna. The merchandise will be available worldwide through reservations starting from June 20, 2017, at 9:00 JST. To date, TOM has shared information and distributed merchandise related to the Sword Art Online series that continues to be popular around the world. TOM has also served as the official international media partner for Sword Art Online The Movie: Ordinal Scale, which premiered in Japan in February 2017 and has recorded a total of 3.35 billion yen worldwide in box office earnings. During its activities related to the Sword Art Online series, TOM has received a significant amount of feedback from fans overseas who expressed their interest in experiencing the series through different formats and methods. This Sword Art Online × Tokyo Otaku Mode Collaborative Merchandise Project was launched in response to such feedback. The concept of this project is to create merchandise for everyday use that a wide range of fans can enjoy. Merchandise created through this project will differ from existing character goods that are based on illustrations of each character. To increase and ensure fan satisfaction, merchandise design drafts are revealed to fans during the planning phases of the project, and adjustments are made based on fan feedback. The completed merchandise are available in Japan and also around the world. 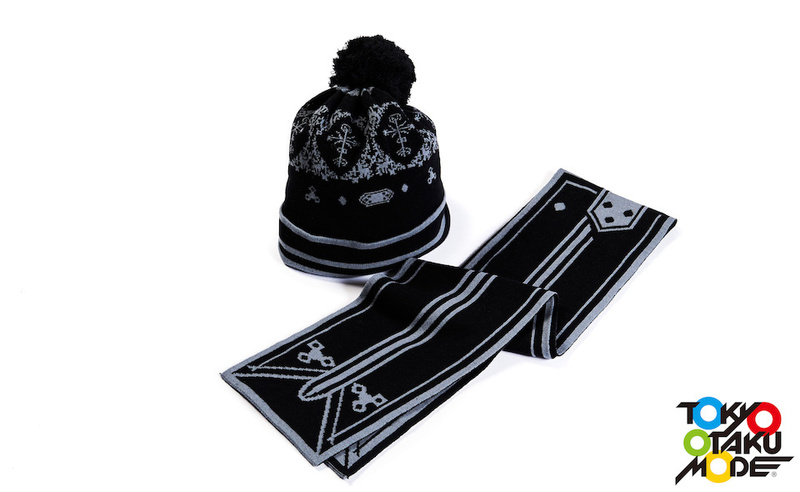 The first part of the project features stylish scarves and beanies with designs based on the outfits of Kirito and Asuna in the Aincrad arc, which remains as a fan-favorite. Unlike regular winter scarves, the scarves created through this project utilize a lighter fabric and are thinner in width, making them ideal for spring and autumn. The scarves and beanies are expected to be delivered in autumn 2017. 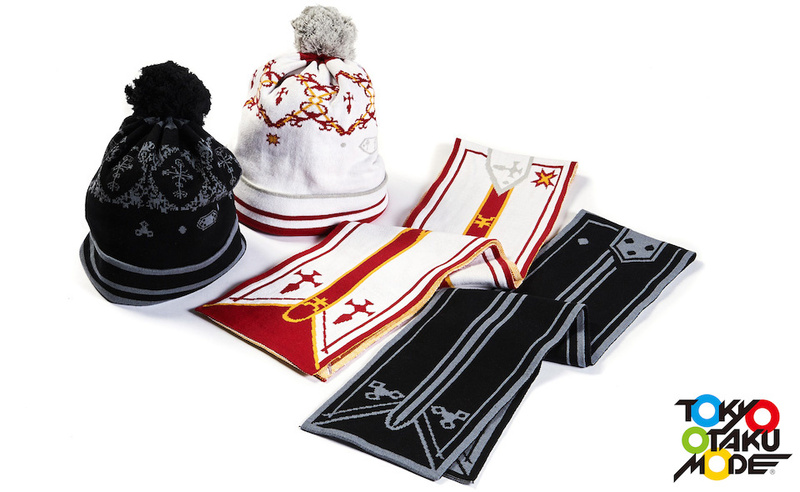 The motif on the right of Kirito’s outfit and the design of his shoulder plate are tastefully incorporated throughout the beanie and the scarf. 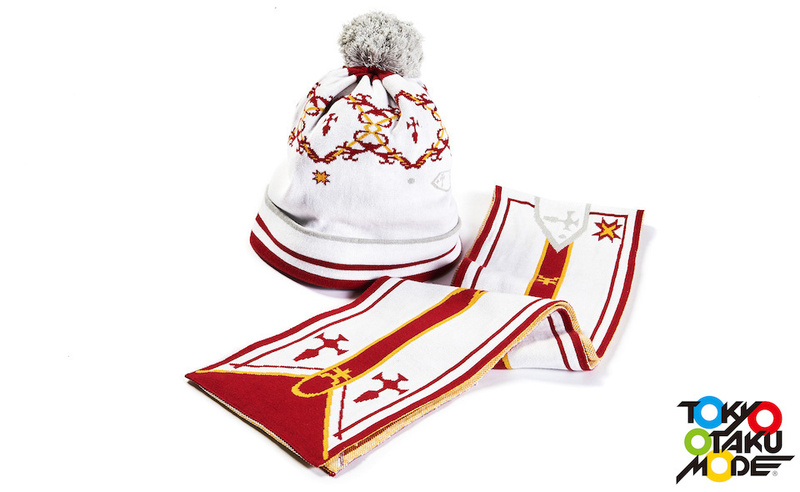 Thin crosses are also featured on top of the beanie, allowing it to match perfectly with the Asuna Model. Black was chosen not just to capture Kirito’s image but also to give the accessories versatility and flair. The Asuna Model is based on her Knights of the Blood guild outfit, which continues to be a fan-favorite. In addition to her signature red crosses, the plate she wears at her chest has also been built into her model’s design. The combination of red and gold on a pure white base shows off Asuna’s energy, strength, and her kindness, too. ※Shipping fee and tax included in price. The Sword Art Online anime series is based on Based on the original light novel series by Reki Kawahara, Grand Prize winner of the 15th Dengeki Novel Prize. The series illustrates the activities of Kirito, the protagonist, in a futuristic virtual reality game titled “Sword Art Online”. The Sword Art Online series has been incredibly popular ever since volume one of the original light novel was released in April 2009. Approximately thirteen million copies of the light novels have been sold in Japan, and approximately twenty million copies have been sold worldwide. The Sword Art Online series has received two anime adaptations and has also been presented through different media formats such as games and comic books. On February 18, 2017, the film Sword Art Online The Movie: Ordinal Scale premiered in Japan. It went on to open in a total of approximately 1600 theaters worldwide, earning tremendous responses in various countries and recording a total of 3.35 billion yen in box-office revenue around the world. The film featured an original story by Reki Kawahara and music by Yuki Kajiura. Tokyo Otaku Mode Inc. (TOM) shares the latest news about anime, manga, events, merchandise, and other parts of Japanese pop culture with fans around the world through its Facebook page, which has 19.5 million likes as of May 2017. TOM also works directly with manufacturers to provide an authentic and curated selection of merchandise to fans worldwide through its e-commerce site, the Tokyo Otaku Mode Shop. Furthermore, TOM works with independent creators within and outside of Japan to design and distribute original merchandise. To date, orders have been delivered to customers in over 130 countries and regions worldwide. Utilizing the expertise it has developed in international business, it offers services that support business expansions overseas as well as inbound business activities in Japan. TOM continues to advance its mission of “bringing happiness to the world with otaku culture” by enriching the lives of Japanese pop culture fans around the world, and also by adding new value to the global entertainment markets.